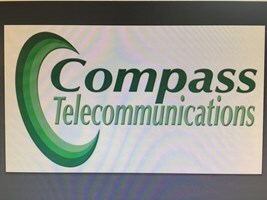 Compass Telecommunications - Telecommunications based in Torquay, Devon. My name is Kevin Standen and I'm the owner of Compass Telecoms which I started in 2010. We specialise in all areas of telecoms from installing an extra telephone socket for domestic customers through to supplying and installing telephone systems to large companies. We have been working hard for many years to build a great reputation for delivering a professional and very competitively priced service regardless of the size of job. Our main aim to to make sure our customers are happy with our work every time and this is the main reason we get recommended. I Left school and served my apprenticeship in Telecommunications in London for 5 years and stayed with the same company for 15 years. During this time I was maintaining large telephone systems for Schools and the NHS, I was also based as a full time engineer at the university of Kent, Canterbury for 3 years before deciding to move to Devon and start my own business. Telecoms socket installation / Telephone fault finding / Broadband fault finding / Data cabling / Telephone System installations / Telephone System Maintenance / WIFI surveys / WIFI installations / CCTV installations / Telephone line installations / High speed Broadband installations. The price for each job will be agreed before the works begin and we will Not ask you to pay more than the quote provided. A free site visit and estimate are provided for people within 10 miles of the Torbay area. For jobs outside of the area we will provide a free quotation over the phone and via email. We Collect payment by card or cash and also bank transfer. Please note that bank transfers will need to be paid whilst the engineer is on site. If you need any advice please feel free to contact us and we will do best to help. Thank you for taking the time to read this and we look forward to working with you soon.